Cash for Cars in Massachusetts - We Buy Cars Fast! Selling your car in the Bay State is no enjoyable experience, unless you like answering a stranger's phone call and text messages at random hours. You’ll have to meet with these bargain hunters to give them a look at the car. They’ll waste your time inspecting every little nook and cranny of the car to haggle down your fair asking price to an offer that you're not going to like. When the chips are down and it's time to sell your car, you need a buyer who can give you the right price for your car in an efficient and timely manner. LIke a Celtics point guard, CarBrain is here ready to deliver the game winning shot. That's right Massachusetts we’re here to help you sell your car and get some quick cash into your pocket. Unlike other buyers, we won't waste your valuable time with sales games and tactics. Our state-of-the-art pricing engine can give an offer on most cars in just 90 Seconds! We’ll deliver the payment and tow your car for FREE! That’s what we call ‘nothing but net’! Get off the bench and get in the game. Click here to get your offer today. The dream team at CarBrain has over 30 years of experience in the car business. We’ve put our knowledge to the test and developed an interactive and intelligent car pricing engine. It’s been designed with you, our client, in mind. We’ll make you a guaranteed offer with free towing! We can pick up the vehicle at your home, job, shop, or even a friend’s or family member’s house. If you agree to our offer, we’re prepared to deliver the payment and pick up your car in just 24 to 48 hours. See why thousands have sold their cars the smart way with CarBrain. Click here to get started today! Do you need cash for your car? Do you know who can buy it from you? If you’re selling your car in Massachusetts then there's a few things you should know. Buyers come in many types. Every buyer specializes in buying different types of vehicles. However, they all share one common goal and that is to make sure that they get the better end of the deal, leaving you out to dry. Car dealerships, no matter what size, have no interest in buying your car outright. They typically only take clean cars with no issues. And if they are buying your car, it's more than likely a trade-in because you're buying another car from them. At this point they’ll do whatever it takes to sell you their car, even if that means giving you a high offer for your trade. But beware: this is a typical dealer strategy. They know how to make the numbers work in their favor, and all the extra cash you're getting will secretly be slipped in somewhere else in the deal as an add-on of some kind. Selling your car to a local private buyer can take up too much time and it’s a headache. If you don't enjoy getting calls and texts from strangers 24/7, taking the time out of your busy day to show them the car, and to spend that valuable time haggling over your fair asking price down to the point where you're practically giving that car away, then perhaps selling your car privately is not for you. You’ve heard ads on the radio or seen the signs for the “cash for cars’ or ‘cash for clunkers’ programs. These are typically scrap and junkyards that want to buy your car. The deals they offer are not always what they seem. The yards are buying your car for its metal salvage value. They do not care if your car has premium options like leather upholstery or a sunroof. All they want is to buy your car for as cheap as possible to scrap it out. If you're still looking for the right price for your car and you're tired of dealing with the competition, there’s a better way. If you're done playing negotiation games and you're ready to get some cash in your pocket, listen up. Massachusetts, look no further - CarBrain is here with a new quick and easy way to sell your car and get some moolah in your wallet. We know exactly what the competition does. Their selfish process revolves around making it difficult for you to sell your car. 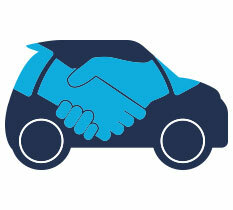 Here at CarBrain, we’ve developed a fast and simple method of selling your car. Our team of has used their 30 years of experience to design a system that revolves around you. Our pricing engine will make offers on most makes and models in just 90 seconds! And on top of that, we’ll tow your car for free. Try it for yourself - simply click here to get started today! Is your car crashed or wrecked? Don't worry about it because we can make you an offer. We specialize in buying cars in less-than-perfect condition. We’ll buy your car even if it has mechanical issues, damage from vandalism, flooding, theft, it doesn’t run, or pretty much anything else. When it's time to sell your car the most important thing to is search for the proper place. The right buyer makes you the right offer for your car. The first step is to determine what type of car you have and present it to the right audience. Dealerships both large or small mostly only buy cars that are very clean and ready to resell. If you take a car in less-than-perfect condition to a dealership the offer you get will be shockingly low. Unlike dealerships, private buyers sometimes prefer less than perfect cars, but they will use the car's issues against you. Their offers will always be low as well. Their excuse will always be that they must invest money into it and you'll spend a good portion of your time haggling over the price. CarBrain specializes in buying cars in less-than-perfect condition. We’ll buy your damaged car and make you a fair cash offer. We have service all throughout Massachusetts including areas like Boston, Worcester, Salem, and nearly any community near you. With our quick and easy pricing system, we’re prepared to make an offer on most makes and models in just 90 seconds. Are you ready to sell your car and get some cash in your wallet? Come see why thousands have decided to sell their cars the smart way, the CarBrain way. Click here to get started today! Cars depreciate daily. The longer you sit around waiting to sell your car the more money you're going to lose when you finally sell. The majority of the buyers in the business today make it impossible to sell your car for a fair price. They play many games and waste your time. You need a buyer who can act fast and deliver a fair cash offer, and who will provide exceptional customer service. Through CarBrain, you can make it happen. We have a dedicated team of buyers ready to help you. 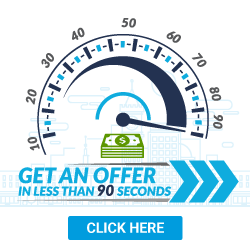 Our system will make an offer on most cars in just 90 seconds. And we’ll deliver you the money and tow the car for FREE in just 24 to 48 hours. We’ve simplified our process down to three easy steps. Get cash for your ride today! Click here to get started. Are you tired of dealing with strangers and shady dealers? Are you tired of wasting your time day after day? Then head over to CarBrain. We’ve simplified the way to sell your car and we can get you a fair offer today, and cash in your pockets in no time! Through our easy step-by-step process, you can have an offer for your car in a timely manner and we will tow it for free in just 24 to 48 hours. We will tow your vehicle for free to any of our Massachusetts locations. What should you know before selling to a junkyard or private buyers in Massachusetts?